Five years ago Nintendo created an expectation of what its then-semi-next-gen console was capable of and it used a Zelda title to promote that vision. When all we knew of this new box was that its codename was “Revolution” and that its controller was a remote with few buttons that allowed us to swing it like a sword or point it at the screen like a gun, imaginations ran wild. With a Zelda game attached to the console’s launch, we dreamt of embarking on Hylian adventures wielding a tiny white incarnation of Link’s trusty Master Sword. But when it finally came time to deliver, instead of dynamic swordplay through motion control, the Wii’s launch and The Legend of Zelda: Twilight Princess gave us infrared remote sensors and waggle. Now the Wii is nearing the end of its lifecycle and Nintendo has put together a fitting swan song for the system. The Legend of Zelda: Skyward Sword is the game you were expecting in 2006 and it’s every bit as wonderful as you could have imagined. Of course, the biggest focus of this game is its implementation of Wii Motion Plus. I’ll address the elephant in the room first by telling you that, yes, the swordplay in Skyward Sword is top-notch; once you duel a sword-wielding skeleton warrior with motion control this accurate, you won’t want to do it any other way. This level of control comes at a price. For the first time in as long as I can remember, there’s a learning curve to a console Zelda title. Even the move from a 2D isometric perspective to a full 3D third-person view didn’t feel this drastic. Ocarina of Time may have demanded more practice if Super Mario 64 hadn’t preceded it and paved the way for three-dimensional adventuring. Learning the Z-Targeting system was simple: press the trigger when you want to lock on to something and mash “B” until it’s dead. Previous titles in the series had three, maybe four different sword attacks Link could utilize. This is essentially still true, but all of these attacks now mimic what you do with the Wii remote fairly accurately. A simple shake of the remote will cause Link to remove the blade from its scabbard. After that, any motion you make with the controller is replicated onscreen. Point it at your ceiling and Link will point his sword at the sky. Swing it from left to right and you’ll see him do a horizontal slice mimicking the same. I put this control to the test by slicing at some of the thin trees found in the first area you explore outside Skyloft. I fully expected any horizontal slice I performed to result in my onscreen counterpart’s blade gliding parallel to the ground and my diagonal actions to be interpreted as perfect 45-degree swings. This was not the case. In fact, Link hardly ever executed a “perfect” swing, instead mimicking my own actions with stunning accuracy. Jabbing directly at the television causes Link to do a quick forward stab, which allows you to stick certain items to the tip of the sword, namely fruit. This proved to be another fun way to test the Wii Motion Plus controls. I would stab pumpkins and raise my sword toward the sky, then practice tossing them different distances by changing how much force I put into each swing. Try to resist the temptation to pelt villagers with pumpkins from afar. After all, it’s not very becoming of a hero-in-training, is it? Note: In this regard, I do not believe in leading by example. Besides, there are no repercussions for tossing fruit at the people in Skyloft. 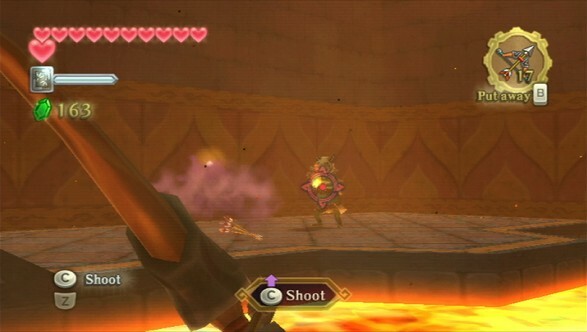 The swordplay in Skyward Sword differs in that it demands your attention. Regular encounters aren’t the hack-and-slash affairs they used to be; let your focus dawdle and you’re sure to pay for it. If you don’t watch your enemies closely, you’re sure to get a fist to the face or end up with your head inside a Deku Baba’s maw. 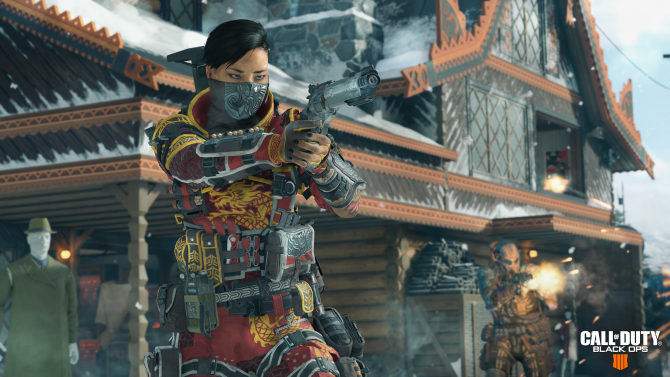 Enemies don’t have patterns quite like they did before, either. This time around they leave openings you’d better make damn sure you exploit. But you can’t just rely on your shield to keep you safe. In Skyward Sword, most every shield you acquire has a health bar of its own. If it breaks, as mine did several times during the final boss fight, then you’d better be sure you’re well-versed in dodging and have a healthy stock of potions on you. Speaking of shields, Skyward Sword introduces a new mechanic that brings the series closer to its RPG roots than any game before it. Most of the items Link carries can be upgraded and made stronger or more effective by visiting a smithy. Treasures found in dungeons and the overworld such as ore and tumbleweeds can be applied to your existing arsenal to augment it. Why you’d need tumbleweeds to reinforce an iron shield is beyond me, but the concept is neat nonetheless. As the first Zelda title developed exclusively for the Wii, most everything in Link’s adventure pouch utilizes motion control in one form or another. 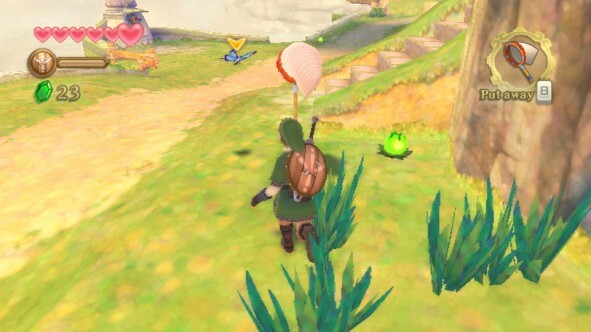 Bombs and pots can be thrown overhead in classic Zelda fashion by pointing the Wii remote at the ceiling and faking the toss or rolled by performing an underhand motion; flight and swimming underwater are controlled by tilting the remote in the desired direction; and cracking a whip requires players to treat the remote as a handle. Because Skyward Sword doesn’t use the Wii sensor bar or the remote’s IR receptors, aiming items like the slingshot and bow handle a bit differently than before. You still point the remote at the screen in order to use each, but it won’t automatically reflect where you’re aiming. Instead, you point at the center of the screen and press down on the directional pad to set your reticules to a neutral position and proceed from there. It was a tad irksome at first, but the control scheme grew on me, especially when I started setting my ceiling as the neutral point for the slingshot; it makes certain actions feel more realistic. The plot in Skyward Sword isn’t anything you haven’t seen before. Link and Zelda are well-acquainted at the story’s outset and a looming evil is threatening to take over the land. The destination isn’t nearly as important as the journey you take to get there. Much of the human interaction in Skyward Sword takes place in the game’s sole town, Skyloft. This is where Link attends the Knight Academy and lives among his fellow students with his crimson Loftwing, which serves as a sort of animal guardian and an avian form of transportation. Exposition is once again handled by dialogue boxes and the grunts and grimaces of characters with speaking parts. 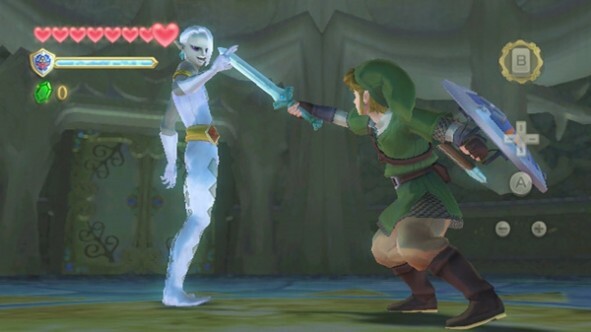 Fi, Skyward Sword’s answer to Ocarina’s Navi and Twilight Princess’ Midna, is the best companion character Link’s had in any of his adventures. Her logical, almost robotic explanations and reactions are a joy to read and, on more than one occasion, elicit a genuine chuckle or two. That Skyward Sword doesn’t feature voice acting isn’t something that should be counted against it. I don’t know that there’s a suitable actor who could voice the game’s primary antagonist without making him more of a caricature than he already is, for one. As we’ve known for a while now, the creation of one of the series’ most iconic weapons, the Master Sword, is the catalyst for much of the game’s plot, and the journey toward that goal is crafted quite wonderfully throughout the experience. I had my reservations about the story about halfway through, but the events of the last third of the game put them to rest. 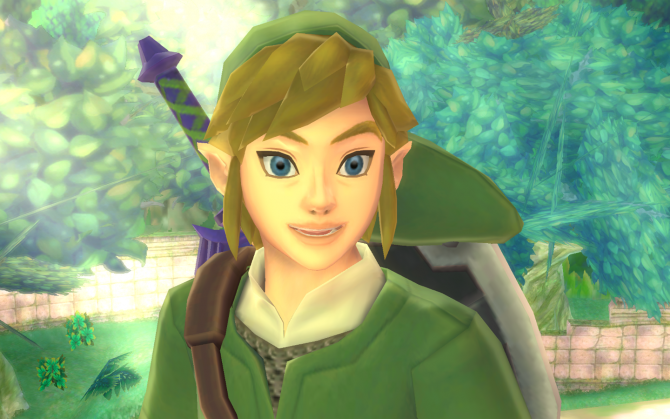 Link, as a character, is more dynamic than he’s been in any of his previous incarnations on Nintendo consoles. His replies to questions or concerns go beyond the standard “yes” and “no” responses we’ve grown accustomed to in other Zelda games, and although your reactions don’t affect the story in the least bit — save for one side quest — it’s much more fun to interact with the citizens of Skyloft and the surrounding areas than ever before. 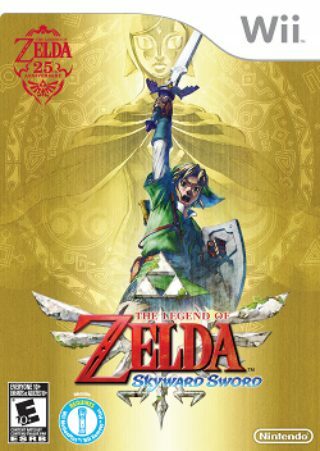 For the first time in the series’ history, Skyward Sword provides orchestrated music for Link to adventure to. While the compositions, on the whole, aren’t as memorable as they are in past games, you completely forget about it when immersed in sound quality the franchise has never seen. But fear not: Plenty of the tunes you’d expect make a return. After all, this is still a Zelda game, and it wouldn’t be complete without the titular princess’ lullaby and a few other choice tracks. You’d be a fool to expect the textures and environments in Skyward Sword to be as detailed as those found in Xbox 360 and PlayStation 3 games, but the art direction is executed wonderfully. Other titles blur objects while the system renders them, but Skyward Sword turns them into pointillist pieces that are a sight to watch materialize as you come closer. The places you visit are also brimming with secrets just begging to be discovered. The best comparison that comes to mind in this aspect of the game’s design is 2001’s Majora’s Mask. 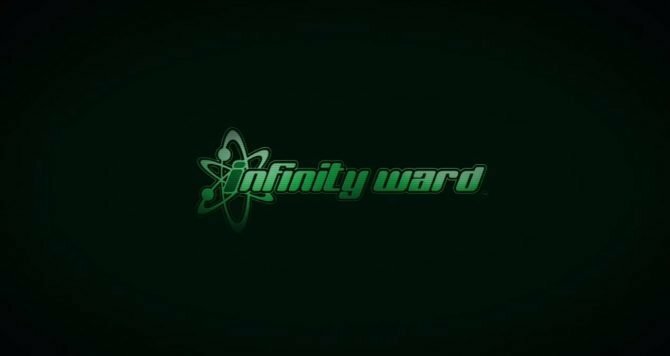 Although both games have overworlds that lack the size of their predecessors’, the sheer quantity of content packed into each area more than makes up for its square footage. Many areas in Skyward Sword feel like playgrounds in which you can goof around with whatever new weapons and items you’ve acquired during your adventure. 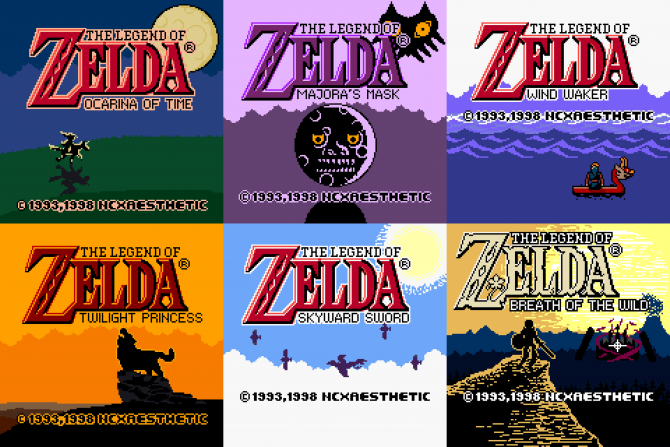 The game also challenges long-time players’ perception of what a Zelda game is in terms of structure and progression. Just because you beat a dungeon doesn’t necessarily mean you’re not coming back later in the game and equipment necessary to advance isn’t always found inside treasure chests. 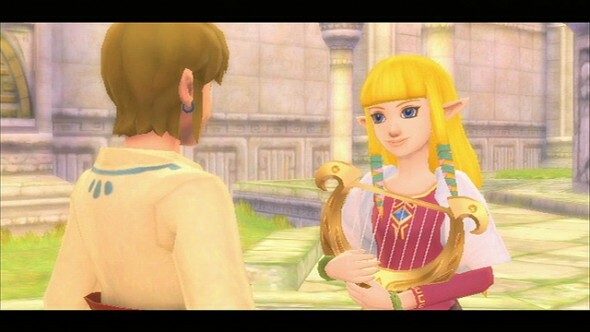 This is the one place where Skyward Sword might solicit a bit of aggravation on the player’s part. There’s a point near the end of the game when what feels like a sprint to the finish is derailed for one last fetch quest. I was about 35 hours into my playthrough when I came to it, and while it was neat to see one of the first environments you traverse changed so drastically, I had to take a break before attempting the task. Once I came back to it, I couldn’t help but power through to the game’s end. 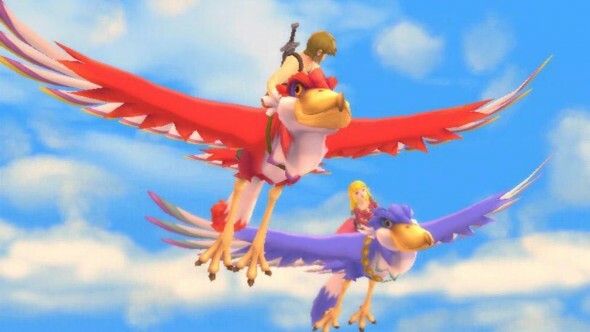 Skyward Sword also contains the least enjoyable form of travel since Link and Epona first bonded in Ocarina of Time. Riding a Loftwing through the sky is nothing compared to horseback archery or plundering for treasure on the Great Sea. Fortunately, there’s a wealth of experiences to be had under the cloud cover so that Link’s avian friend is just that: transportation and not much more. There’s also a bevy of collectibles to be found in each area, from treasures to synthesize with your weapons and other items to bugs to gather, some of which are native to specific environments. The constant search for another piece of Eldin Ore or Desert Cicada is something in which you can find yourself lost for hours, yet never seems like a chore. The game also offers a replay value not often seen in the series by way of a sort of New Game+ mode that begs at least one more playthrough. 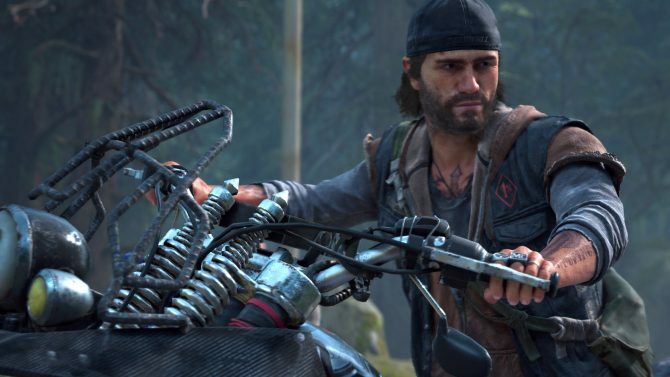 Although the main quest takes between 40-50 hours to complete without a detour, skippable cut scenes and fresh memory of most puzzles cut that down considerably. It’s not often that I finish a first playthrough and immediately create a new save file to barrel through as much as possible in one sitting. My New Game+ in Chrono Trigger began a few hours after my first quest and I’d take at least a day off after beating a Resident Evil game to replay any given chapter. This speaks volumes of the experience The Legend of Zelda: Skyward Sword provides players. The environments beneath the clouds are bursting at the seams with tricks to try and secrets to uncover. 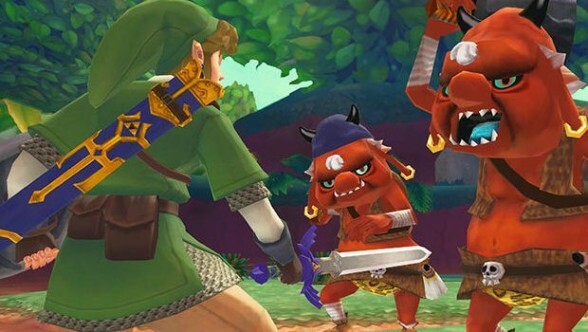 The story takes the tried-and-tested Zelda formula, drops certain elements and brings plenty of fresh material to let seasoned players’ imaginations run wild and draw connections to titles that take place later in the timeline. After five years of waiting, your Wii remote is finally an adequate substitute for the Master Sword. Skyward Sword is by no means a perfect game — no title is — but none of its flaws come anywhere close to marring the experience as a whole. Anyone who owns a Wii would be remiss if this title didn’t join the library. 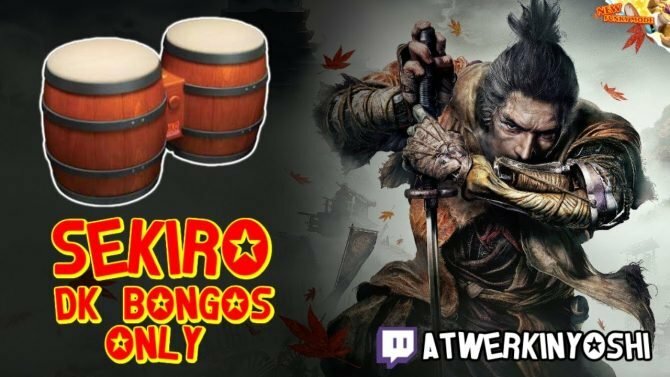 This game sets a model for meaningful motion control the rest of the industry would do well to follow and build on. If you’re not a fan of the Zelda formula or motion controls, this isn’t the game to change your mind. Nothing will. But above all else, the experience provided by The Legend of Zelda: Skyward Sword can be summed up in a word too many games forget about these days: fun.